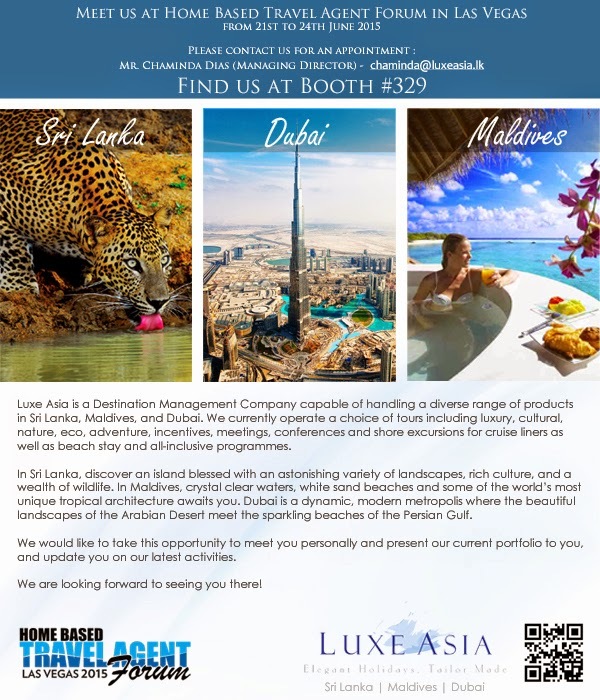 Special Summer 05 Nights/06 Days package of Sri Lanka and Maldives for the Middle East and Asian Markets. 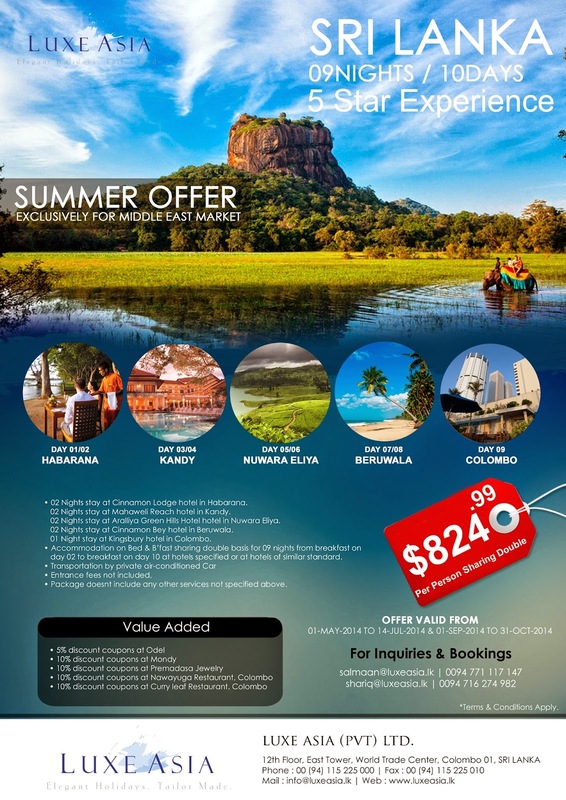 The package valid from 01st September – 31st October 2014. 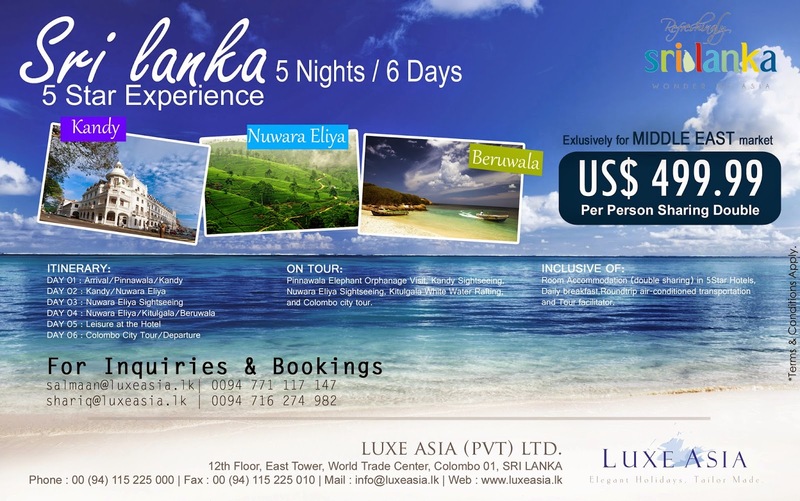 Special Summer 05 Nights/06 Days package of Sri Lanka for the Middle East and Asian Markets. 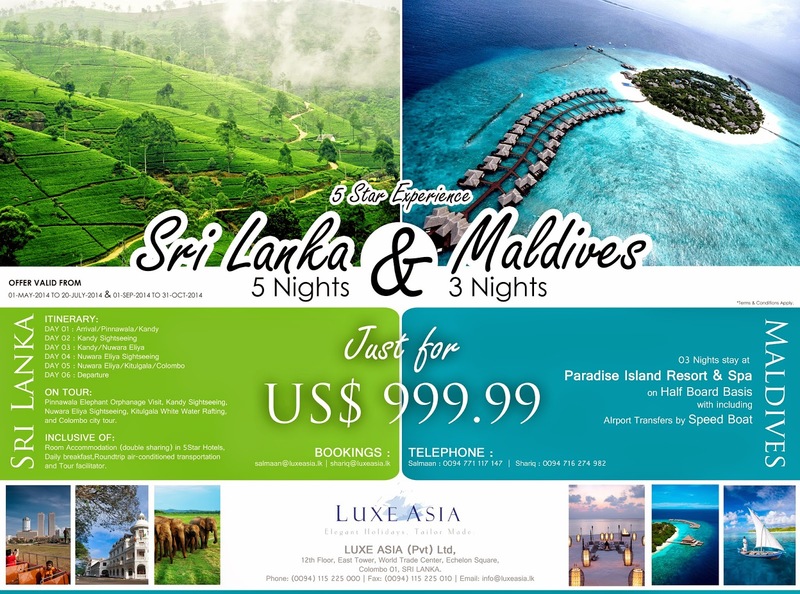 The package valid from 01st September – 31st October 2013. 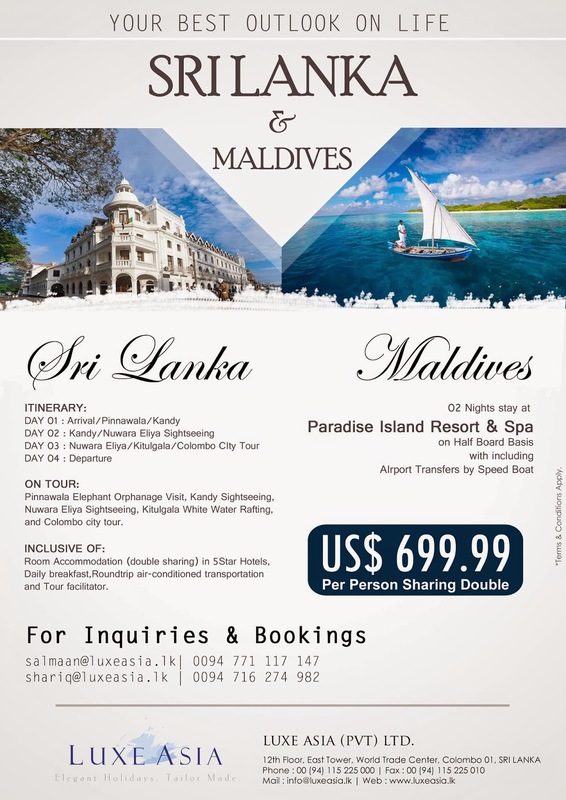 Special Summer 08 Nights/09 Days package of Sri Lanka and Maldived for the Middle East and Asian Markets. 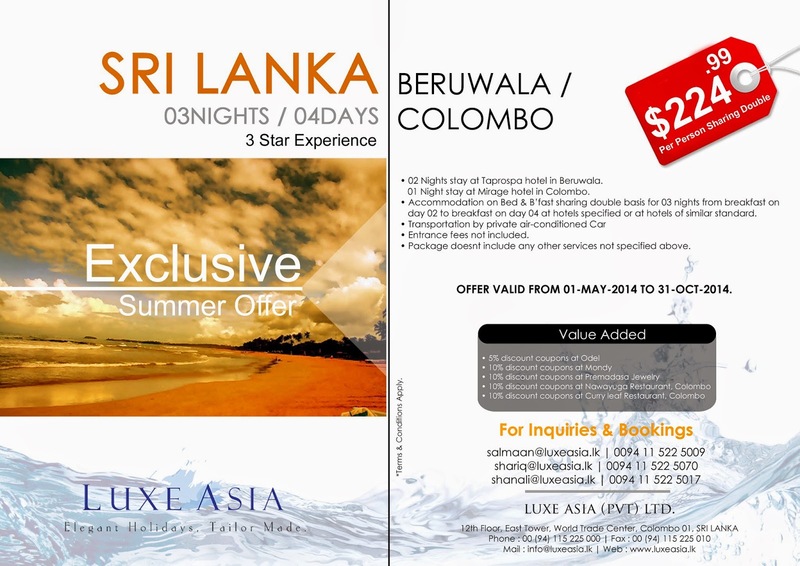 Special Summer 09 Nights/10 Days package of Sri Lanka for the Middle East and Asian Markets.